Countries number: 69 & 70. Number of butterflies seen: 2. I was brave, and didn’t scream. Number of broken beer bottles seen: Countless. Number of flies that flew into my face: 8. Why do they do that?? Change in elevation: Probably 1 degree. The walk was flat. 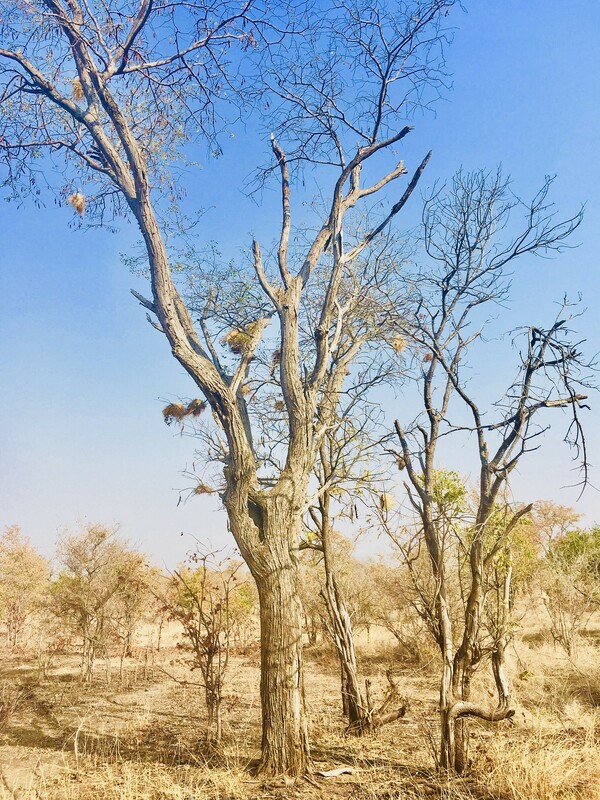 It’s ‘winter’ in Zambia. I don’t like negotiating with taxi drivers, and I’m poor AF. So, I finally did it. 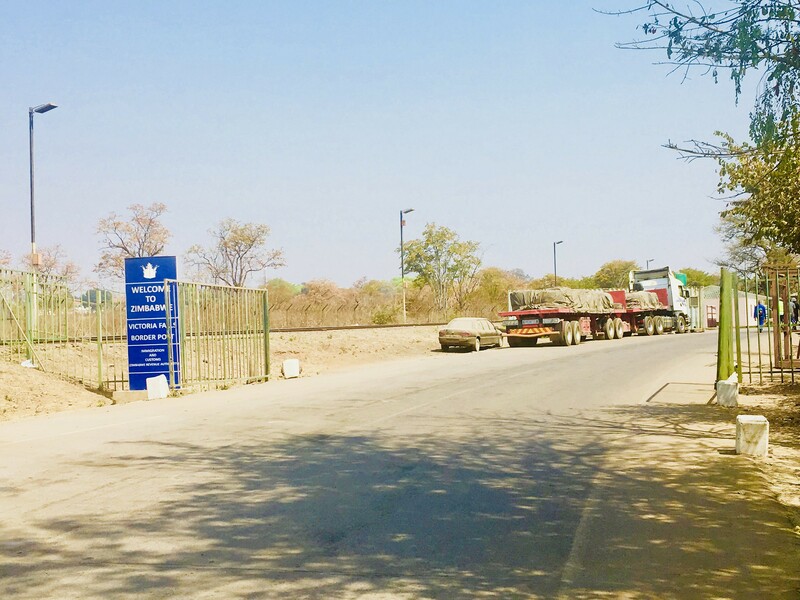 I crossed a border on foot from Zambia to Zimbabwe, spent $0 and 20 mins in Zimbabwe, and got a new passport stamp (I’m rather ashamed of myself for doing that, by the way). 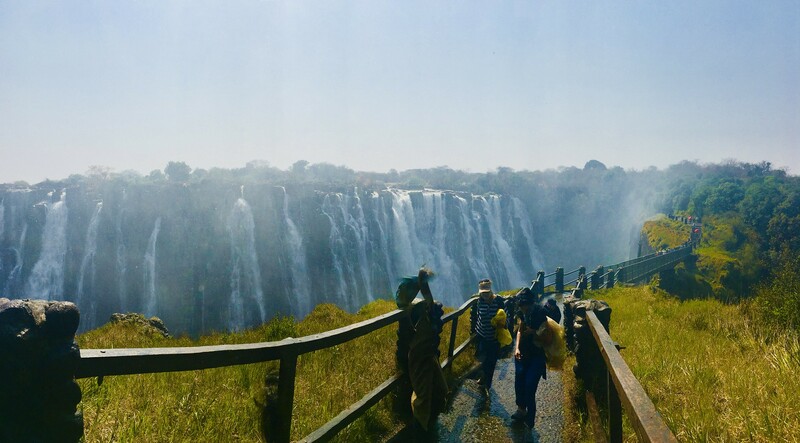 Honestly to cross from Victoria Falls on Zambia’s side to Victoria Falls on Zimbabwe’s side is actually just about ~ 4 km round trip, but what added to my trip was deciding to make that 8 km walk from my hotel to Victoria Falls. I wouldn’t do this walk in summer. Starting in the cool morning after a full breakfast was a good idea. By the time I was done, the mid-day temperature would have made this walk unbearable. Victoria Falls is really majestic. Interestingly, the best place to take a photo of the Falls doesn’t require entrance fees – from the Victoria Falls Bridge. You’ll also encounter a lot of touts asking you to do the bungee jump. The Zambian side charges $20, but doesn’t take credit cards. I paid in USD. The Zimbabwe side charges $30, but they do take credit cards. The Zimbabwe Dollar devaluation crisis must be getting bad, because the immigration person stamping me into Zimbabwe asked if I would give her my USD in exchange for Zimbabwe Dollars, and pay my entrance fee in Zimbabwe Dollars.